Berberine is an alkaloid found in many plants, but most notably in goldenseal (Hydrastis canadensis), barberry (Berberis vulgaris), Oregon grape (Berberis aquifolium), and goldthread (Coptis chinensis). These plants have a long history of use in supporting health. Berberine can be produced from various plant parts (e.g., seed, bark, root, etc.). 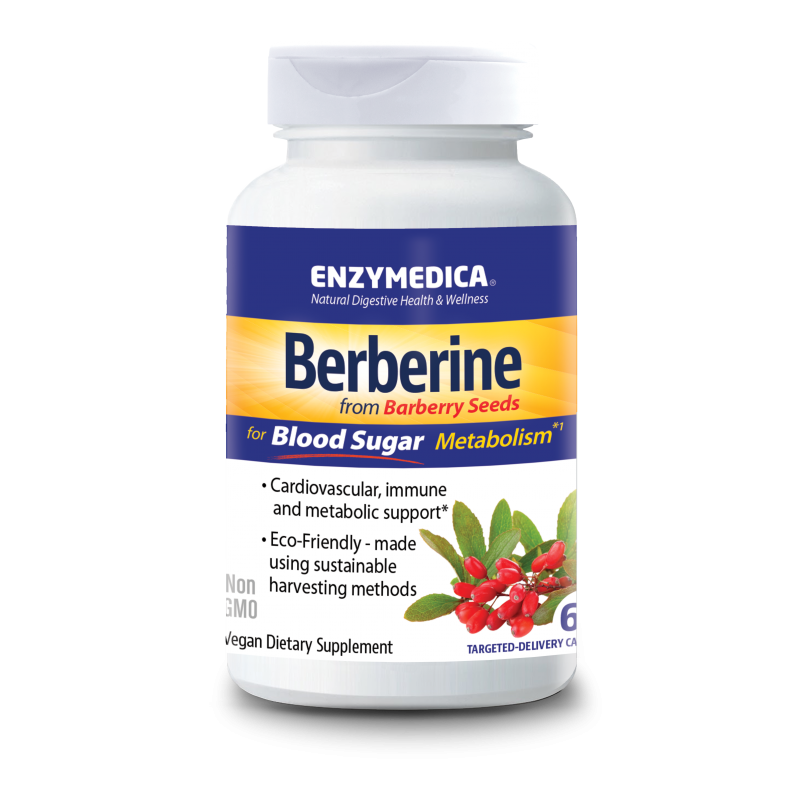 Enzymedica’s Berberine is a sustainable product produced from the seeds of barberry (Berberis vulgaris). Sustainable and preferred source of berberine from the seeds of barberry (Berberis vulgares). Enteric-coated to prevent self-aggregation and formation berberine crystals that reduce absorption.